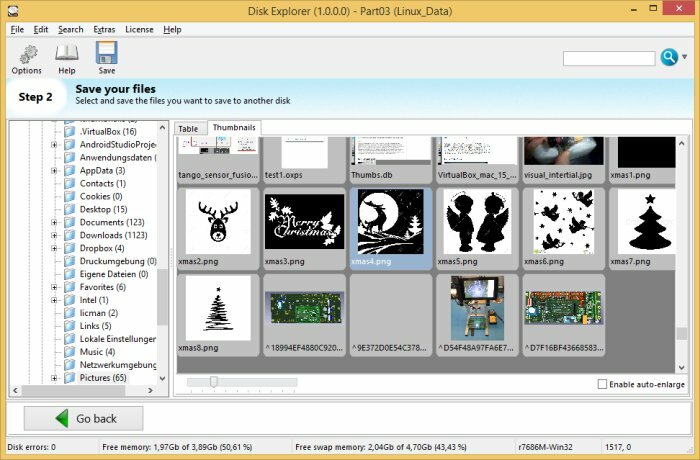 PaderExplorer – Access, view and save all kind of Linux and Mac media from your Windows PC. No access restrictions. No user access rights needed to read any file or folder. 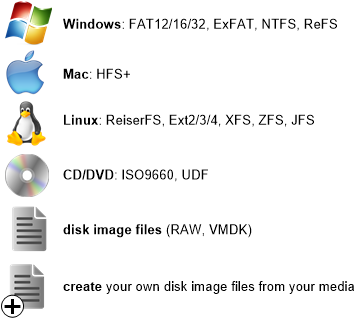 A versatile multi filesystem explorer for power users, administrators and forensic investigators supporting all kind of digital media. 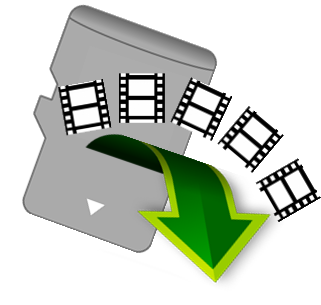 DEMO version restriction: You can save up to 3 files in the DEMO version. By clicking this download link, you are accepting the license below! This software is licensed, not sold or owned. Grau GmbH grants you a non-exclusive, non-transferable license to use this software. 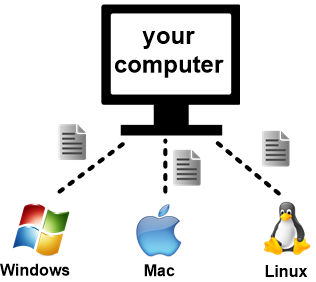 You may not redistribute the software (neither on any website or any server or somewhere else). You may not use this software to establish an online service with it. You may use Single-user licenses only for a single user. You accept the license by downloading this software. EXCEPT AS EXPRESSLY SET FORTH IN THIS AGREEMENT, THE PROGRAM IS PROVIDED ON AN “AS IS” BASIS, WITHOUT WARRANTIES OR CONDITIONS OF ANY KIND, EITHER EXPRESS OR IMPLIED INCLUDING, WITHOUT LIMITATION, ANY WARRANTIES OR CONDITIONS OF TITLE, NON-INFRINGEMENT, MERCHANTABILITY OR FITNESS FOR A PARTICULAR PURPOSE. 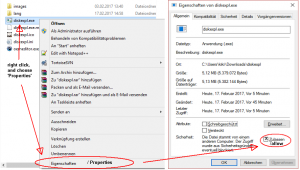 PC: right-click the downloaded .zip file in Windows Explorer, and choose ‘Extract all…’. Then go into the extracted folder. Double-click the file ‘PaderExplorer.exe’. 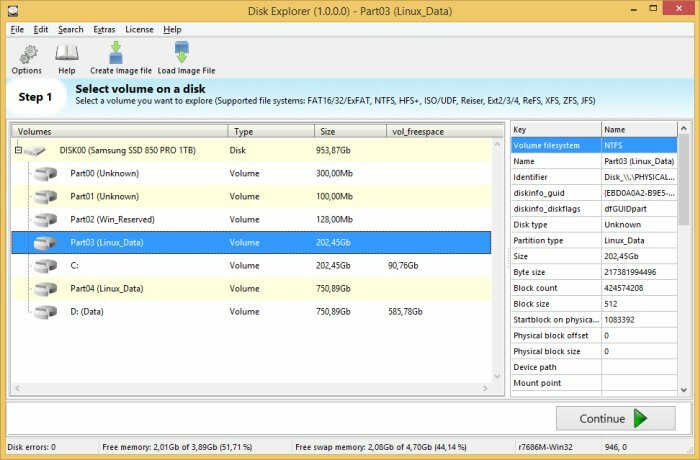 On some systems, it just shows ‘PaderExplorer‘. That’s the executable to run. 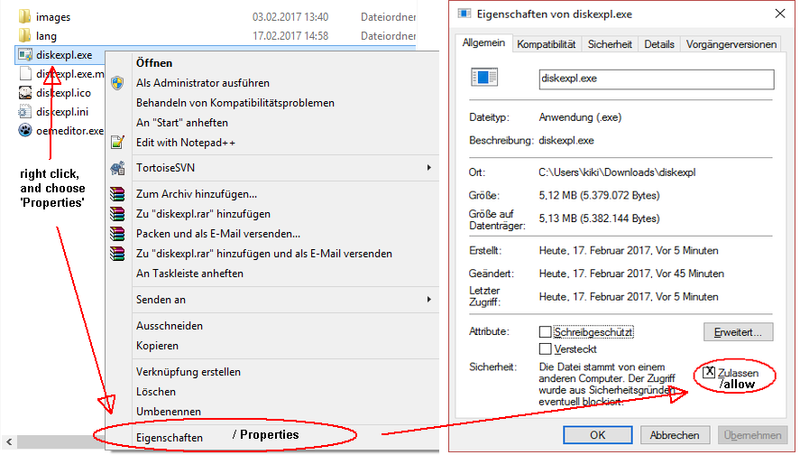 Alternatively, you can disable SmartScreen via ‘Control Panel->System and Security->Action Center->Change Windows SmartScreen settings->Don’t do anything (turn off Windows SmartScreen)’. Always try before you buy! Please download and try the software to make sure that it meets your needs before buying a license. As with all online software sales, there are NO REFUNDS! For non-EURO: The price is converted into your currency at the current rate during the purchase process. Important! Before purchasing, start the downloaded software and look for the request number (10-digit code: XXXXXXXXXX) and write it down. You’ll need that number directly after the purchase! After purchasing, you are automatically redirected to get the activation code to unlock the software. A few minutes later, you’ll automatically get a link for the activation code via email too. If for some reason this doesn’t work, send us an e-mail (including your request number that you can find in the software). NOTE: Google email (gmail) often needs 2-3 days for transmission – do not use gmail if you need a quick answer! I have read all above, and by clicking this button below I accept that I cannot get money back for any reason.